London: The shale boom has created a world awash with crude, putting a lid on prices and markedly reducing US dependence on imported energy. But there’s a growing problem: America is producing the wrong kind of oil. Texas and other shale-rich states are spewing a gusher of high-quality crude — light-sweet in the industry parlance — feeding a growing glut that’s bending the global oil industry out of shape. Refiners who invested billions to turn a profit from processing cheap low-quality crude are paying unheard of premiums to find the heavy-sour grades they need. The mismatch is better news for Opec producers like Iraq and Saudi Arabia, who don’t produce much light-sweet, but pump plenty of the heavier, sulphurous stuff. The mismatch is better news for Opec producers like Iraq and Saudi Arabia, who pump plenty of the heavier, sulphurous stuff. The crisis is Venezuela, together with Opec output cuts, will exacerbate the mismatch. The South American producer exports some of the world’s heaviest oil and Trump administration sanctions announced this week will make processing and exporting crude far more difficult. American refiners are scrambling for alternative supplies at very short notice. Crude isn’t the same everywhere: the kind pumped from the shale wells of West Texas resembles cooking oil — thin and easy to refine. In Venezuela’s Orinoco region, it looks more like marmalade, thick and hard to process. Density isn’t the only difference — the sulphur content is also important, dividing the market into sweet and sour crude. Heavy crude tends to have more sulphur than light crude. “The strength in the physical crude market continues, led by sour crude shortages,” Amrita Sen, chief oil analyst at consultant Energy Aspects Ltd in London, said echoing a widely held view within the market. Few oil executives see the market changing anytime soon. The supply and demand balance could deteriorate further as Opec deepens output cuts next month — Saudi Arabia has warned it will reduce production even further in February. Saudi oil exports into the US last week fell to the second-lowest level in nearly a decade. “Opec cuts will sustain the tightness of heavy-sour crude,” said Alex Beard, the head of oil at commodities trading giant Glencore Plc. At the same time, US shale production keeps growing, feeding the glut of light-sweet crude. The proportion of light crude in US total petroleum output has risen to nearly 57 per cent, up from 51 per cent in early 2017, according to Bloomberg calculations based on US Energy Information Administration data. In the physical market, oil price differentials for some important varieties of heavy-sour crude — including Russia’s main export grade, Urals, and Mars Blend from the US Gulf of Mexico — are at the strongest levels in five years, according to data compiled by Bloomberg. Mars crude on Tuesday traded at a $5.85 premium to US benchmark West Texas Intermediate, compared to a discount of $1.60 a barrel a year ago. Earlier this month, Heavy Louisiana Sweet crude traded at a rare premium to its sister variety Light Louisiana Sweet. “Opec is having the impact that they wanted in the physical market, which is tightening,’ Marco Dunand, chief executive officer of commodities trader Mercuria Energy Group Ltd.
Heavy-sour crude is becoming so expensive — and gasoline refining margins are so low — that some US refiners are running their most sophisticated kit at low rates in an effort to save money. Others are likely to follow. 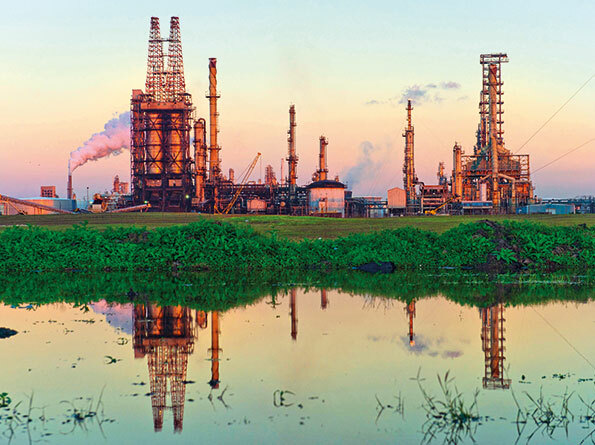 The cracking margin for heavy-sour crude for the most sophisticated refineries in the US Gulf of Mexico has fallen to about $2.50 per barrel in recent days, compared to a five-year average of $12 a barrel, according to data from consultant Oil Analytics Ltd. The global refinery has no option but to adapt almost in real time. Valero is “changing the way it’s sourcing crude on weekly, daily basis to try to get the best netback we can on the plants,” Joe Gorder, chief executive officer, told investors on Thursday.